Some weeks ago I had the pleasure to make an awesome road trip through Scotland with my friend Agatha, my travel companion lately. 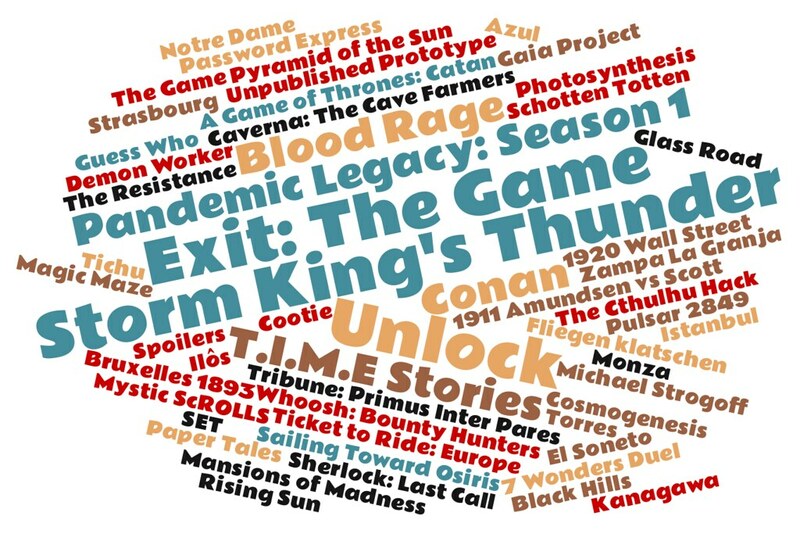 You can read about our trips together through Austria, Brittany or Normandy. It was my second time in Scotland, after a great trip three years ago to visit mainly Edinburgh. So, this time the Scottish capital was discarded as a destination and the goal was to visit as much as possible of the rest of this beautiful country. In six days we drove around a thousand miles and hiked almost 40 kilometers, without taking into account the countless walks through cities and towns. And we found more than 25 caches!! Again (and it’s starting to be an issue) we had to prepare the trip in just a few days. Some places were more or less familiar to me and for years I’ve had a terrible desire to visit the Isle of Skye, but apart from that all the initial research was full of positive surprises. Let me show you the initial map of Scotland must visit destinations prepared by Agatha, except the Isle of Skye prepared by myself. Sadly we couldn’t visit all of those places because we decided to do as much hiking as possible and we took it very easy in general, but we managed to visit almost all of them. We landed at Glasgow International Airport very very soon to make the most out of the first day. We lost some of this advantage struggling with the car rental company. In the end the experience with them was OK but it started horribly bad. 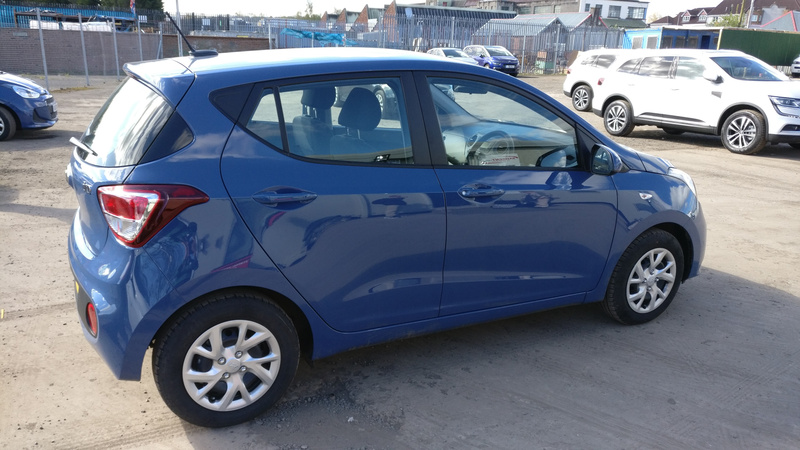 They gave us a car smaller than expected (and booked, and payed) but at least it had automatic transmission and in the end it was comfortable enough for two and very appropriate and comfortable to drive on normally one lane roads. 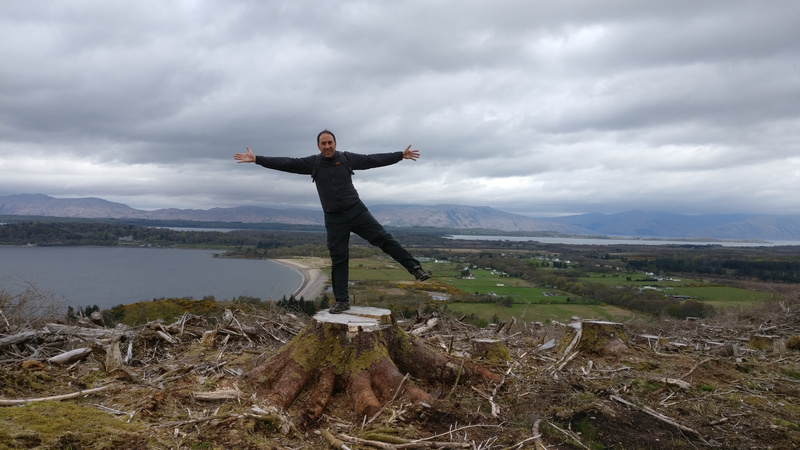 Our first destination was Balloch, on the southern shore of the beautiful Loch Lomond, the largest inland stretch of water in Great Britain by surface area. We visited the castle gardens and walked through the main road (including our first beers of the trip, mine without alcohol). Balloch is a popular destination because lots of ferries leave from there to navigate the lake. The only ship that we boarded was The Maid of the Loch, a beautiful paddle steamer (the last to be built in Britain) that is coupled to the pier and serves nowadays as a cafeteria. Apparently is being restored by a charity whose aim is to return her into operation again. The next stop was Luss, a touristic small town a few kilometers up the lake shore. The center of the town was very beautiful, specially the surroundings of the Parish church, but there was a disproportionate amount of tourists. Before leaving we had a nice lunch in a quaint restaurant, including the best chicken chipotle wrap that I’ve ever eaten. Seriously. After another nice drive through a marvelous countryside we arrived to the starting point of Puck’s Glen, probably the most beautiful walking trail that I’ve seen. Puck’s Glen is amazing, the pictures cannot capture the atmosphere in the whole place. Looks like it’s named after the character of William Shakespeare’s play A Midsummer Night’s Dream and it surely resembles a fantastic dream: huge trees, dense forests, breathtaking viewpoints, uncountable water streams, picturesque water falls, steep ravines,… The hike is not very long and it’s easy to follow so you should not miss it if you come near the area. We finished our first stage near Oban, a beautiful resort town surrounding a nice bay. It has a curious monument on top of a hill, McCraig’s Tower, and lots of restaurants and hotels. Despite this, we chose a promising Bed and Breakfast in a town nearby. Bonus recommendation: the Grove House Bed and Breakfast exceeded all our expectations. They were extremely nice with us (including waiting until late for the check-in), giving us two rooms for the same price so we could sleep more comfortably. In the morning I took one my favorite breakfasts in the UK: smoked herring grilled. After the energetic breakfast, the first thing we did was another small hike, the Eagle’s Eyrie walk in Beinn Lora. The path had been recently improved by the logging company that exploits the area and it was very beautiful and interesting. Not so many days before everything was covered by huge trees but when we were visited only some remaining lumber and stumps were there. In some stumps we counted more than 60 rings, the entire area produced mixed feelings of sadness and beauty. Very curious, after all. Some kilometers up north we arrived the main attraction of the day: the Glen Coe National Natural Reserve, one of the most popular Natural Reserves in the UK. We visited the Meeting of the Three Waters and the Three Sisters, totally different things but separated by less than 1 kilometer. 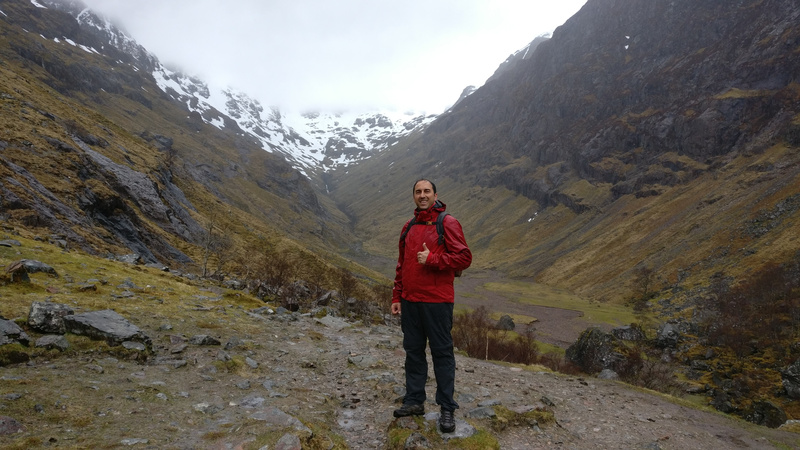 Despite the light rain, we decided to start climbing the Bidean nam Bian mountain massif to reach the Coire Gabhail, also known as Lost Valley or Hidden Valley because in order to reach this glacier formed marvel you need to climb 230 meters through a steep path. The ascension was fantastic and beautiful, but also very long and quite adventurous because the rain became more intense and the path was steep and wet. We were always safe but we ended up very tired and soaked after almost 5 hours under the heavy rain. It was totally worth it, anyway. 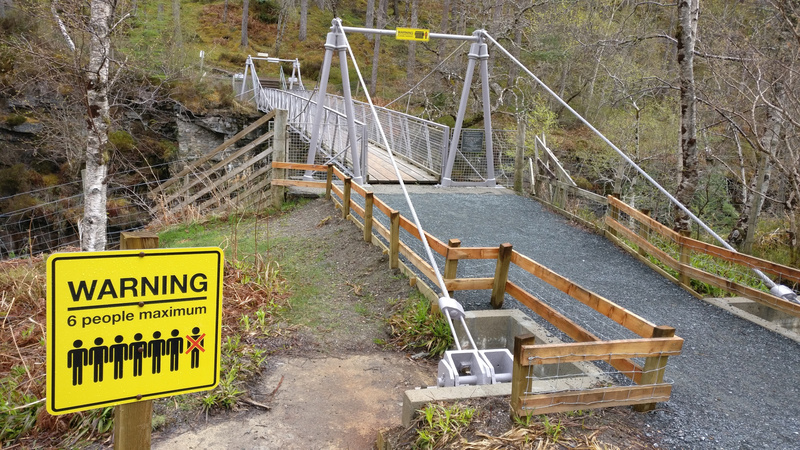 After a well deserved lunch at the Boots Bar in the Clachaig Inn, we decided to spend the evening with more relaxed visits, the first of them to Fort Augustus, a small village in the south west end of Loch Ness. It is very popular for tourists but the main attraction is the lake itself. We took the car again to reach the ruins of Urquhart Castle, but it was closed already so we couldn’t even enter. I visited it in my previous trip to Scotland, but at least Agatha could see the ruins with the lake behind and Nessie diving somewhere.. 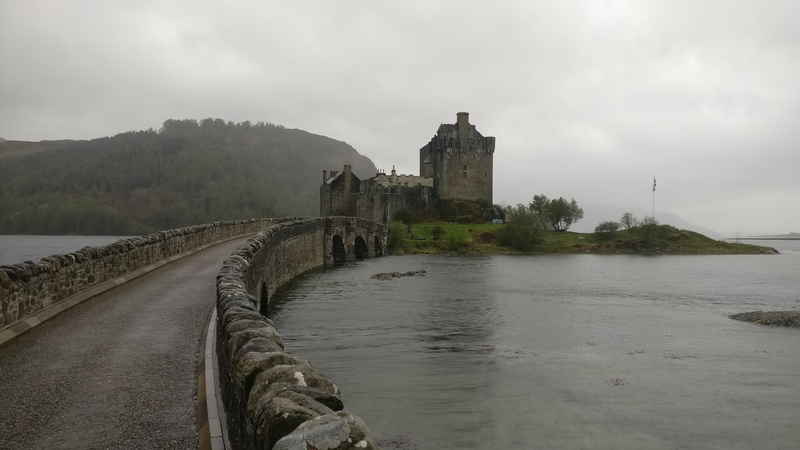 The rain continued and the sunset was approaching, so for the rest of our evening we left a quick stop at the Eilean Donan Castle. The castle has an interesting history but it’s private and it was closed, so we just crossed the bridge and walked around it calmly to enjoy the place as we were completely alone. 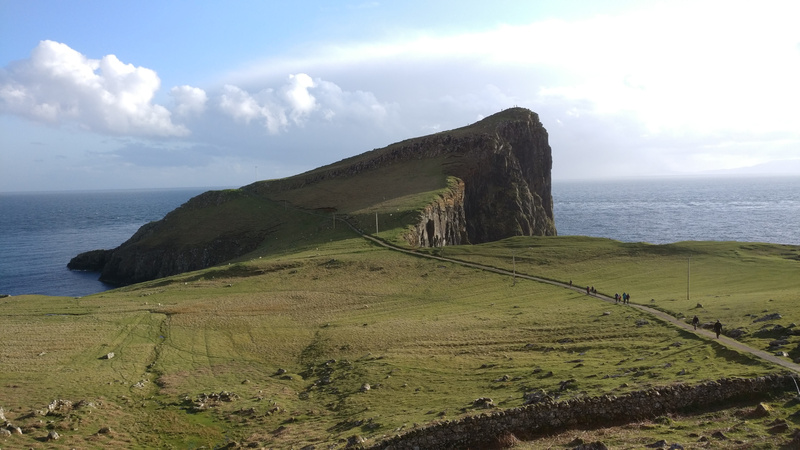 We visited some of the main landmarks and popular hikes in the Isle of Skye. The fields in some areas were more brown than green, but the place is marvelous anyway. I want to go back, nut with more time and a mobile home. 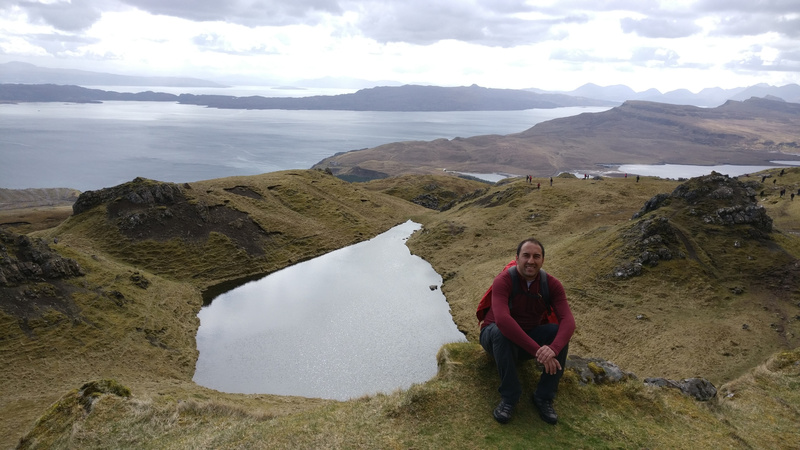 Our first stop was to climb to the Old Man of Storr, a picturesque 28 meters high pinnacle surrounded by similar rock structures. Compared to the previous days with the entire paths for us, in this route we met many more people. The parking site was packed full, even in the shoulders of the road, and the complete path was full of people going up and down. Nevertheless, the climb is beautiful and not very hard, so it’s a strong recommendation. After lunch, we make a quick stop to see the Mealt Falls, the Loch Mealt overflowing to the sea almost directly on a cliff. Interesting. Our next stop was poorly planned and fatally executed, everything because of me. 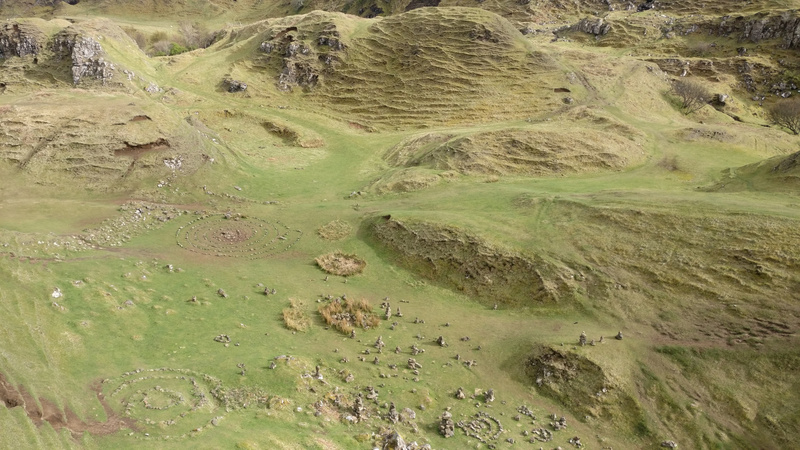 There are several ways to visit The Quiraing and I choose the worst one starting with the most difficult part, a very steep ascension with lots of mud and puddles. The idea was that the rest of the way would be to descend from there, but the path was not easy even after having passed the worst slopes. A Storm suddenly appeared, we had only a few hours of light and we didn’t risk it. After going down to the parking lot, attempting the shortest and easiest path to The Quiraing was not appealing so we went to the next stop. Fairy Glen is a special and curious place to visit. It’s a small area formed by small magical hills eroded in spiral-ish waves. To the natural attractive the locals have added more spirals in the ground made with stones and towers of stone in equilibrium. After a long drive we arrived before the sunset to the Neis Point, the most westerly point of the Isle. There is a beautiful walk from the car park to the lighthouse, including an interesting ascension to a small summit where you can (supposedly) see whales, dolphins and sharks. But you don’t need to climb anything to enjoy a spectacular sunset from almost anywhere in the point. You should go there definitely. 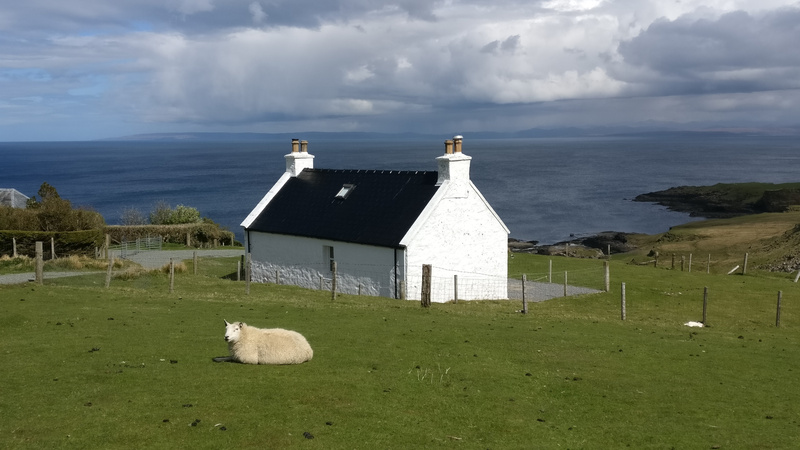 As we couldn’t book anything more or less affordable in the entire area, we changed our plans and decided to drive a couple of hours after dinner to sleep closer to our next destination outside of Skye instead of spending one additional day around there. We probably made a mistake because with the hotel booked far far away and just after starting the trip, it began to rain torrentially. Our GPS’s two hours estimation was transformed into almost 4 hours driving under the rain, at night, mostly through 1-lane roads and after a long day driving and hiking. But we arrived, luckily without running over any wild animal. Bonus recommendation: Near the Rubha nam Brathairean on our way to The Quiraing we ate in the Skye Pie Cafe, a cute place with a vegetarian friendly menu that serves mainly pies of spectacular flavors based on local products, including some sweet pies for dessert. After a nice breakfast we started again very early our day. Lots of things to see!! A few kilometers later we stopped for another short forest walk to visit the Rogie Falls, a series of waterfalls that we could enjoy almost for ourselves. We enjoyed it so much that we had time to make funny pictures while looking for a cache. 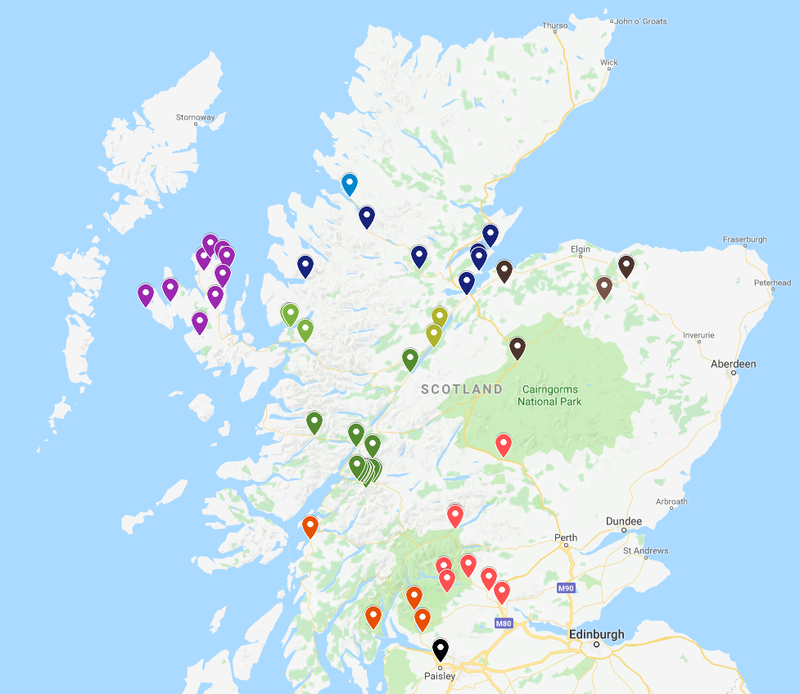 Three more stops: Cromatry, an interesting small village with a nice port; the Fortrose Cathedral, a half-ruined cathedral build primarily with red sandstone; and the Channonry Point, a spit of land near Fortrose that is very popular because from there you can spot bottlenose dolphins, porpoises and grey seals. And finally we arrived to Inverness, the capital of the Scottish Highlands. We spent the rest of the day there, looking for caches, walking around and enjoying the pubs. According to Wikipedia Inverness is one of Europe’s fastest growing cities, and it’s ranked very high in quality of life and happiest place in the entire UK, but I didn’t feel any of this. Anyway, it can be a special place to live but IMHO it’s not so special for a tourist. The castle and the town hall are nice but I would not have minded having skipped this stop. Sleeping in the worst hotel that I remember did not improve my general feeling about Inverness. 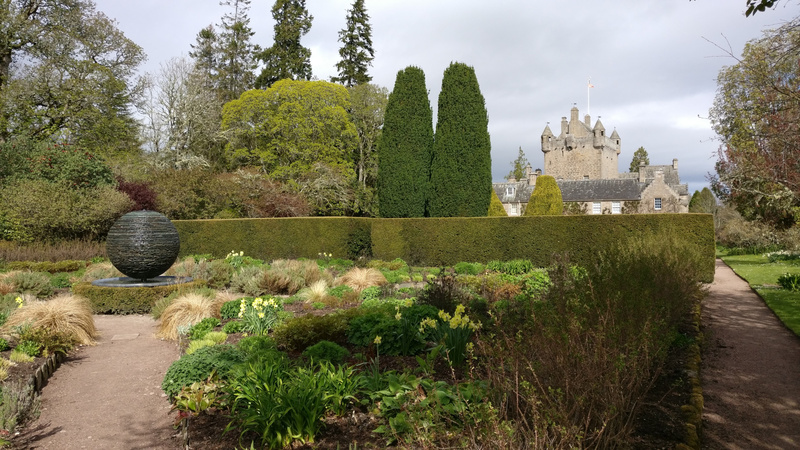 Our first day started with a nice visit to Cawdor Castle, a private castle that can be partially visited. It contains a nice collection of art and it’s richly decorated but what I loved most was the gardens. They even had a garden maze, but sadly the path to the interior of the maze was closed. Neither Agatha nor I are big whiskey fans, but we did not want to leave Scotland without stopping in a distillery and we chose one of the most famous: Glenfiddich Distillery. I tried to convince her to go to Laphroaig distillery but it’s far away from everything else so I accepted the change. Glenfiddich has a huge distillery in Dufftown, they offer all kind of tours and most of the tours include a whiskey tasting at the end. For the designated drivers they offered a small bottle of Glenfiddich 15 to make the tasting at home. 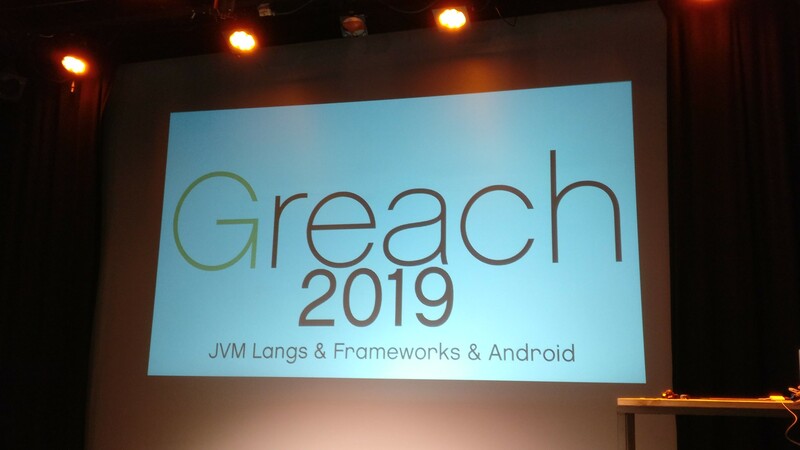 The visit was interesting, after having visited some distilleries and several beer breweries what I needed was to learn something new or different related to the process. This time I learned that the shape of the swan necked copper stills affects the flavor, character and strength of the resulting whiskey. Brilliant, right? 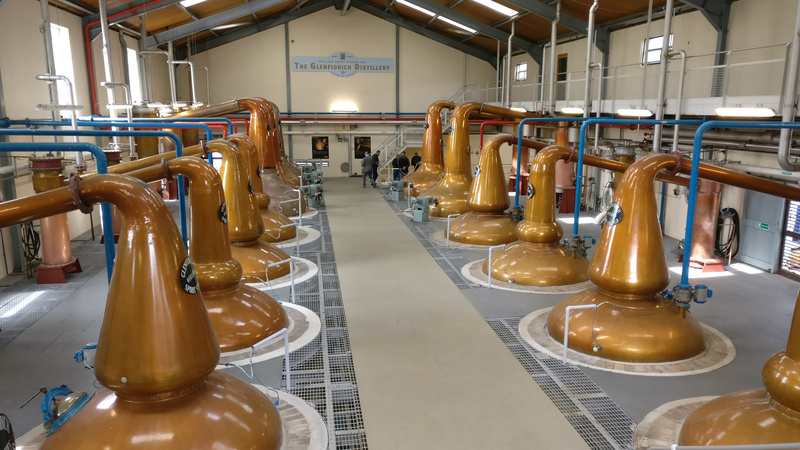 We considered visiting also the Strathisla Distillery in Keith as the oldest continuously operating distillery in Scotland, but we decided to start going south to spend the afternoon in the Cairngorms National Park. 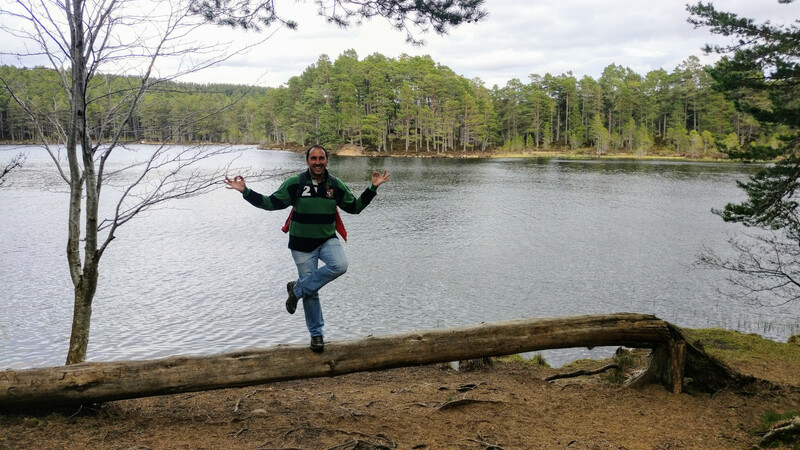 After some research in the copilot seat Agatha chose the Loch an Eilein hike, a beautiful 7-8 kilometer walk around the said Loch. The entire route is astounding, including an idyllic view of a small island near the shore with an ruined castle. The best part was that we were almost alone in the entire area, more silence and quietness is impossible. 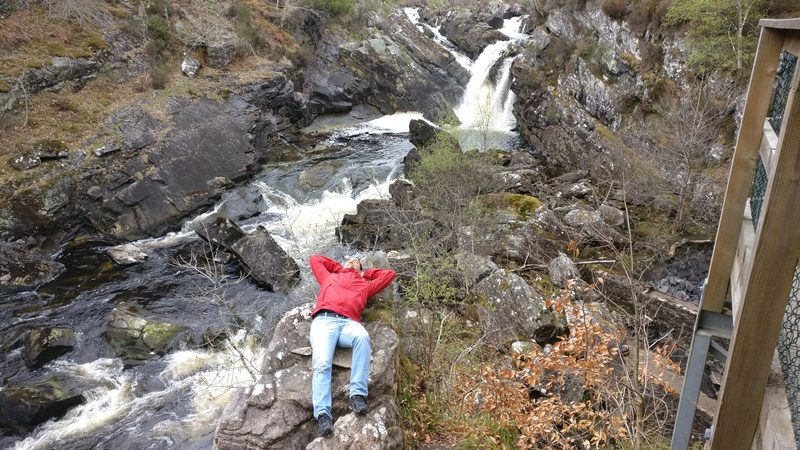 We finished our day with another short walk to view the Falls of Bruar just before sunset and a nice dinner in Pilotchry, one of the most touristic towns in the area. Our first visit, near our hotel with views to Loch Earn, was to see the Falls of Dochart. 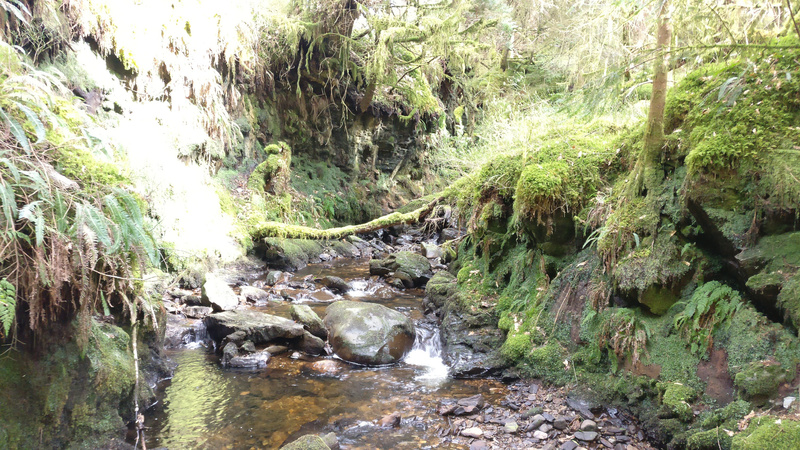 These broad falls are formed at the junction of two rivers, just beside an old stone bridge at the entrance of Killin. Quite a spectacular view. Also spectacular was to drive through the Great Trossachs Forest and the Duke’s Pass. For my next visit I must spend more time in this area. 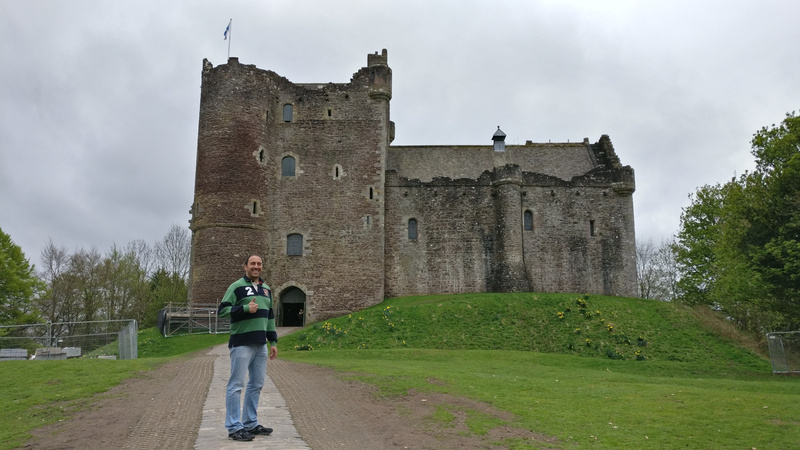 After a quick shopping stop and ordinary lunch in Aberfoyle we arrived to another of the places I wanted to go since my last trip to Scotland: the Doune Castle, a medieval stronghold that is famous because several scenes of Monty Python and the Holy Grail were filmed there. As a huge fan of Monty Python I was curious about the place, and specially (I recognize it) about the merchandising that they could sell in the castle shop. We finally didn’t visit the interior of the castle to have more time in Stirling, and the merchandising in the shop was a bit limited (a few t-shirts, mugs and books) but the visit was worth it because Doune is close to Stirling so we didn’t spend a lot of time. We arrived to the Stirling Castle with the full afternoon available to enjoy it calmly. It remind me (no surprises here) to the Edinburgh Castle and during our visit with the audio guide I tried to compare what I remembered from the other one. We could visit the place with less tourists that expected so it was more or less quick so we also spent some time walking through the Stirling town to grab a fantastic multi-cache with interesting stops: the Old Grammar School, Argyll’s Lodging, Mar’s Wark, the Church of the Holy Rude, the Old Town Jail or the Merkat Cross. 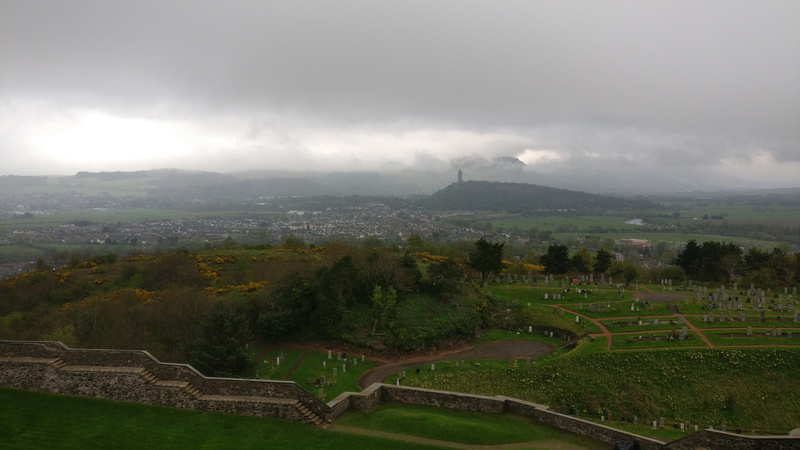 The day was cloudy, and from the castle the views of the National Wallace Monument were astonishing, even more than from behind the monument itself. After enjoying Stirling, we arrived with the last sun rays to Glasgow. We walked the downtown, surprised by the huge amount of bars and restaurants. We knew that Glasgow had a good atmosphere but it seemed disproportionate to us in a positive way. But our flight was scheduled to take off very very early, so to avoid last minute issues and traffic jams we returned the car and booked a hotel beside the airport. Next time I’ll consider spending a full evening in Glasgow if I fly there. 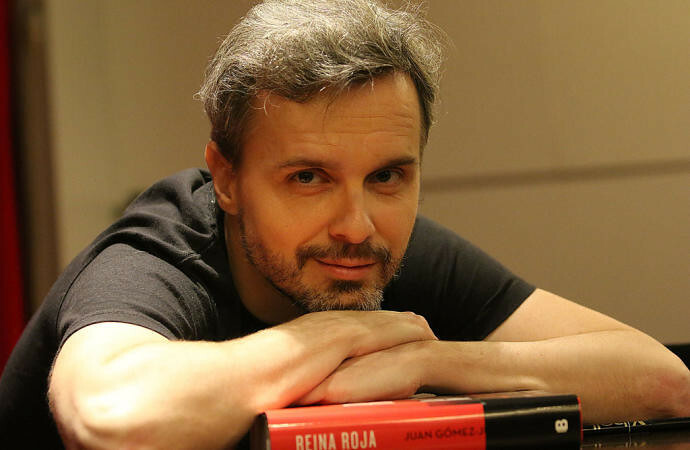 I hope that you enjoyed the guide!